We provide adequate storage facilities for your furniture while your give your home a makeover, building your home or living abroad. Our storage facility will provide the best of inventory management, marking, fumigation and accessibility to any destination in India. Experienced in all aspects of domestic and national relocations, Real Logistics's staff ensure the transport and storage of personal belongings are handled professionally and carefully. 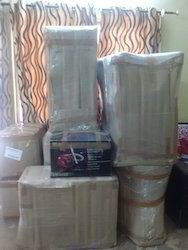 We use the highest quality packing materials to prepare, transport and deliver personal belongings across the country or the world. Invites And CreGlobal Cargo Packers is a leader in mobility management providing relocation professionals with tailored solutions. We deliver domestic and international moving and relocation services to employees, expatriates, diplomats and other private customers, and provide office and industrial moving services. • Schedule changes due to move delays etc. Experienced in all aspects of domestic and international relocations, Spectrum Packers & Mover's staff ensure the transport and storage of personal belongings are handled professionally and carefully. 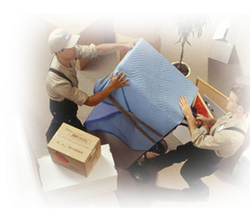 Spectrum Packers & Movers uses the highest quality packing materials to prepare, transport and deliver personal belongings across the country or the world.